Description Metal Gear Solid HD Collection is, as its name suggests, a compilation of Metal Gear games on Playstation 3. 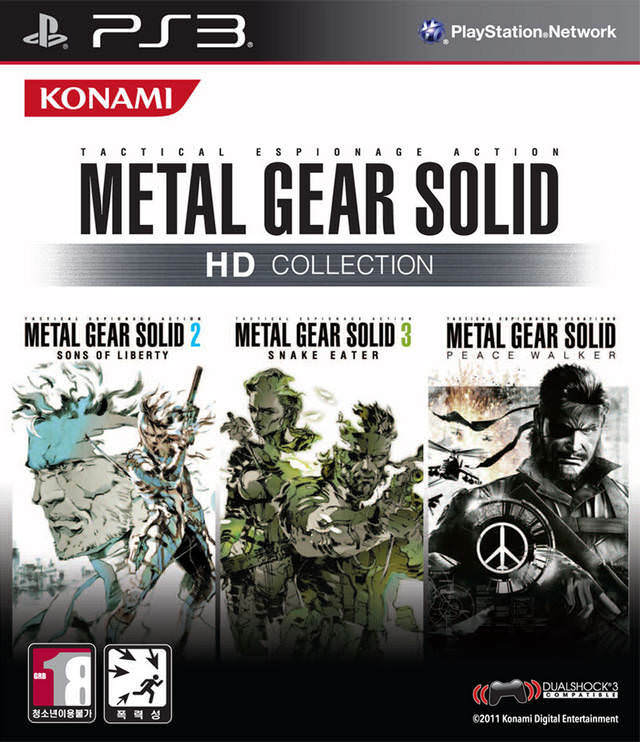 The pack includes, in its European version, Metal Gear Solid 2: Sons of Liberty, Metal Gear Solid 3: Snake Eater - Subsistence (which includes Metal Gear 1 and 2 released on MSX) and Metal Gear Solid: Peace Walker, the game released on PSP. Awesome game love to get these. it has been impossible to find the British version of this game, thanks.